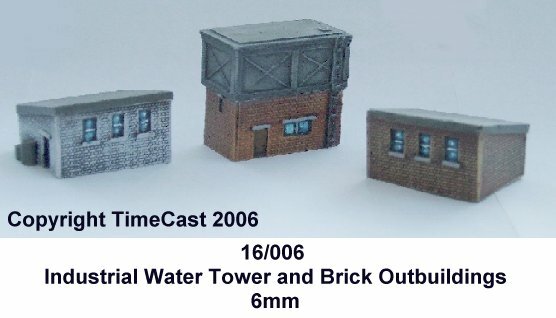 The photo shows one of our industrial buildings (23/009 Large Industrial Unit) mounted on a base with items from our industrial accessories pack (16/005). 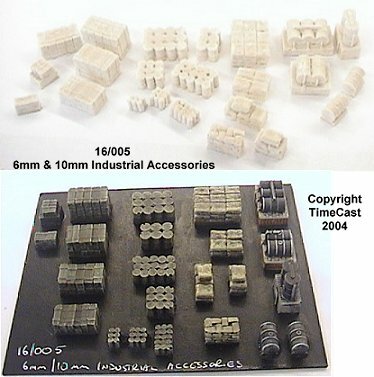 This range covers a variety of modern industrial and commercial buildings, structures and accessories. 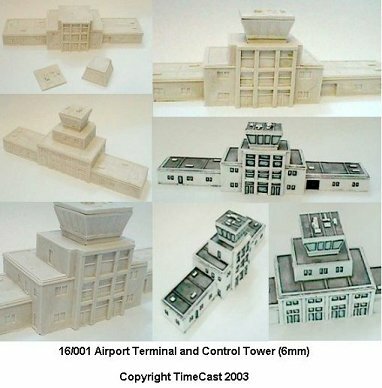 This model is based on Hargeisa airport terminal in Somalia and is typical of the smaller commercial airport terminal and control tower found throughout Africa, the Middle East and Europe. Found on industrial sites round the world. One model per pack. 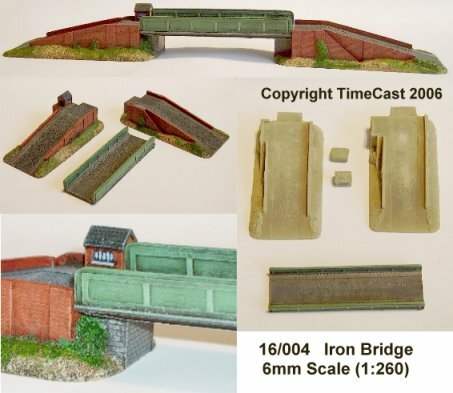 A Beam and Deck style Iron bridge, with stone and brick ramps. 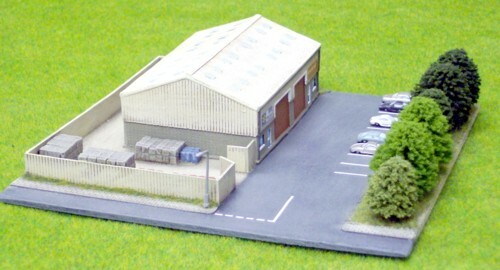 The model includes 2 ramps, 1 bridge section, plus a tollhouse and concrete bunker. 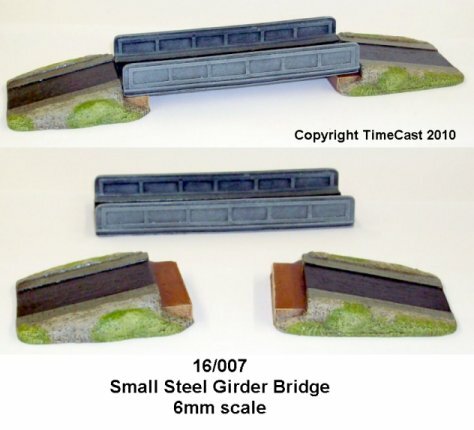 The ramps and bridge sections are approx each 10cms long. Overall length of the bridge is approx 30 cms. 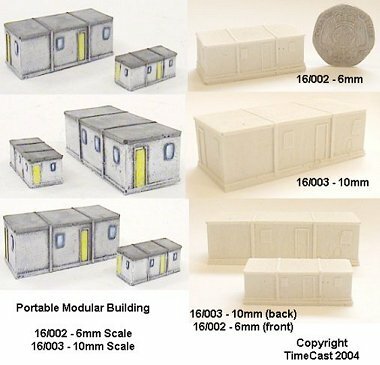 A collection of models suitable for adding clutter to industrial areas, factories, dockyards and supply depots. The pack includes piles of oil/fuel drums, stacks of crates/boxes or sacks plus several oil/fuel storage tanks. Each pack contains 20 pieces. 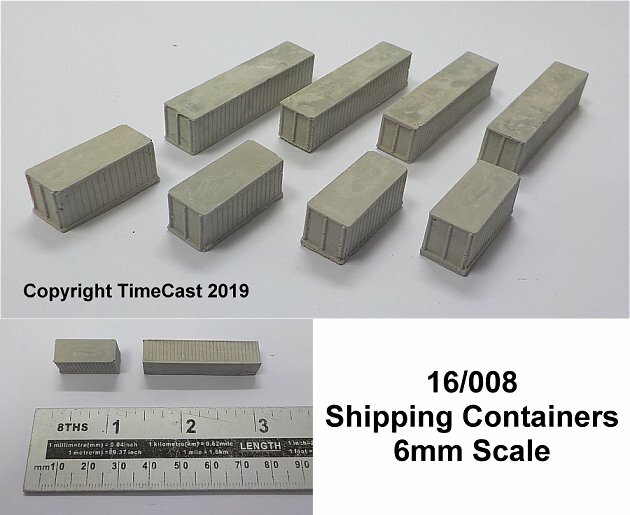 A set of 20' and 40' commercial shipping containers (pack of 10 - 5 x large, 5 x small).